This is an excellent release of Poggerino’s Chianti Classico, a producer I have returned to again and again over the years. The estate is organic and has only 11 hectares under vine. The 2013 vintage tasted here reminds of why I liked the producer in the first place. And despite my musing the other week that I hadn’t seen much organic Chianti, it turns out I have been drinking it for years and just didn’t know it. Not the worst outcome really. 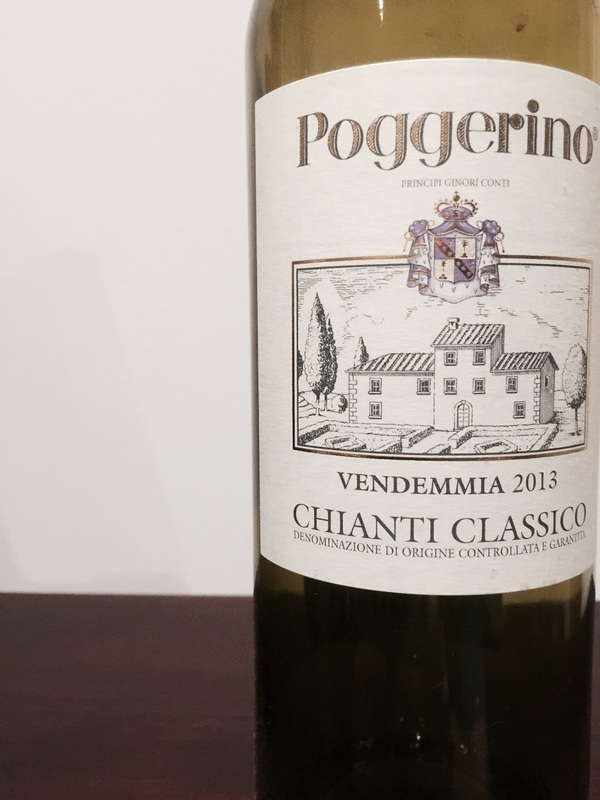 Poggerino’s 2013 Chianti Classico (sangiovese) has aromas of cherry, earth and tar. The palate has towards long length, lovely firm tannins and is in balance. Recommended. G'day – The Poggerino is a really typical example of Italian sangio, so it's easy to recommend for that purpose. If I had to pick one to show what a (good) Chianti Classico looks like, this would be it.